If you’re feeling like taking your high to another level, cannabis extracts have become more readily available and so has their application on and within joints. Goldbuds Shatter Pre-Rolled Cones are great for people who want something stronger and just as convenient. 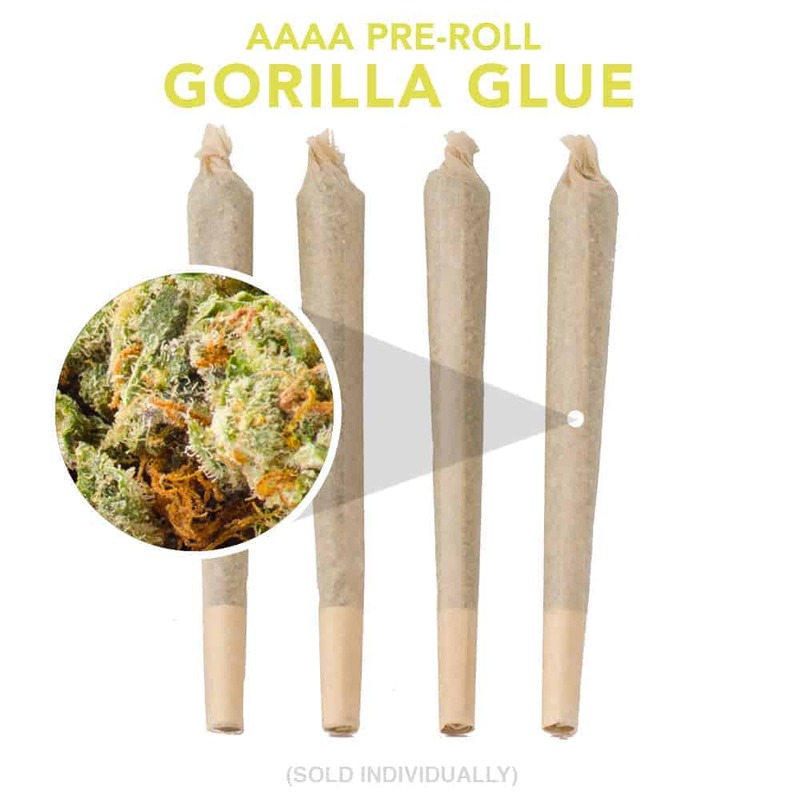 At Goldbuds we hand roll our Gorilla Glue buds with all their crystal loaded at the bottom of the jars and our own high-quality Canna Tonic shatter! Perfectly packed and rolled with Raw Classic King-Sized Cone rolling papers! Coming individually sealed and rolled from a blend of our finest hybrid strains, they make great gifts and are perfect for on people on the go! Gorilla Glue, is a potent hybrid strain that delivers heavy-handed euphoria and relaxation, leaving you feeling “glued” to the couch. Its chunky, resin-covered buds fill the room with pungent earthy and sour aromas inherited from its parent strains, Chem’s Sister, Sour Dubb, and Chocolate Diesel. Consumers will search far and wide to get their hands sticky with Gorilla Glue!